Buffalo Grove, IL (January 29, 2016) -- Washburn Guitars announces their new Apprentice Series, consisting of the AG20CE and AG40CE Grand Auditorium style guitars. Both guitars feature a cutaway for superior upper fret access and a custom Barcus-Berry LX4 pickup system. 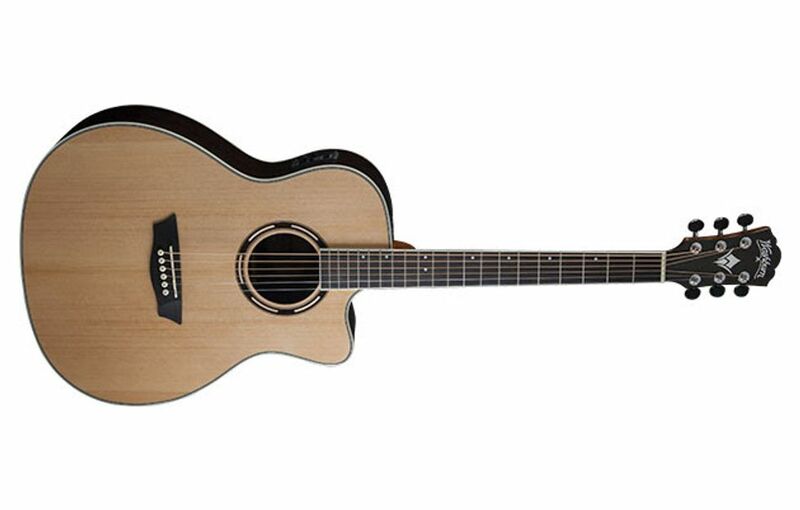 The AG20CE is a Grand Auditorium style acoustic featuring a cutaway and a custom Barcus-Berry LX4 pickup tuner system for superior acoustic tone when plugged in. A select spruce top and rosewood back and sides provide tonal projection. The mahogany neck features a rosewood fingerboard with offset dot inlays and rosewood capped headstock with chrome diecast tuners. The LX4 features a 3 band eq plus presence and a built in tuner for fast accurate tuning. A hardshell case is included. 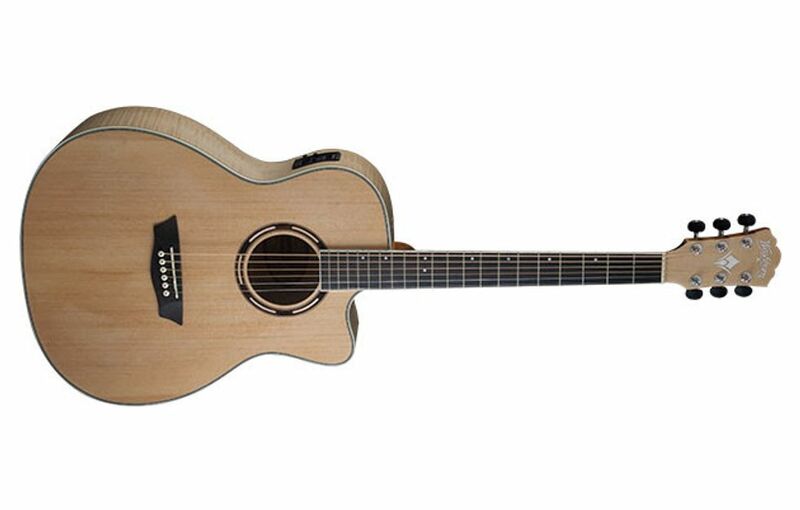 The AG40CE is a Grand Auditorium style acoustic featuring a cutaway and a custom Barcus-Berry LX4 pickup tuner system for superior acoustic tone when plugged in. A select spruce top and flame maple back and sides provide tonal projection. The mahogany neck features a rosewood fingerboard with offset dot inlays and flame maple capped headstock with chrome diecast tuners. The LX4 features a 3 band eq plus presence and a built in tuner for fast accurate tuning. A hardshell case is included.